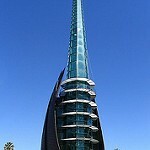 With a population of 2 million, Perth is Australia’s fourth largest city and is the capital of Western Australia. With its Mediterranean climate, clean rivers, lack of pollution, relaxed lifestyle and beautiful beaches, it’s easy to see why Perth has been voted one of the world’s most livable cities. 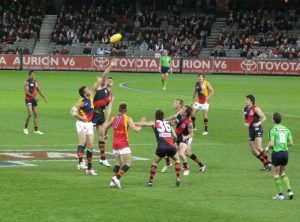 The warm and dry climate is ideal for year round sports and outdoor concerts and activities. The broad Swan River flows past the skyscrapers on its way to the Indian Ocean where the dolphins who call the Swan River home are often spotted. Perth has both big-city attractions and relaxed, informal surrounds. It’s a sophisticated, cosmopolitan city, with a huge selection bars, restaurants and cultural activities. 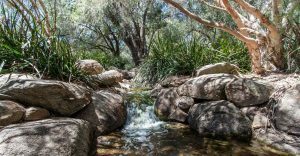 When you want to chill out, visit Perth’s pristine parkland, nearby bush, and river and ocean beaches, which, along with a good public-transport system, allow visitors to spread out and enjoy what’s on offer. At 1000 acres, King’s Park is bigger than Central Park in New York City. You will feel like you’re in the Aussie bush except for the magnificent views over the city and Swan River. There are bush trails, an abundance of native flora, beautiful gardens and a tree-top walk. Kilometres of fine white sand and crystal clear waters greet you right along Perth’s coast. You can enjoy a swim at famous Cottesloe or Scarborough beaches with a crowd or feel like the only person on Earth on your own secluded beach. A 19 kilometre ferry ride from Perth gets you to Rottnest Island which remains largely unchanged for the last 100 years and has the oldest intact streetscape in Australia. The main mode of transport is bicycle but there is also a bus service to take you one of 60 beautiful beaches. 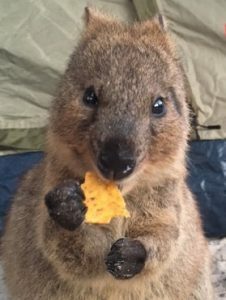 You’ll soon forget how close you are to Perth while snorkeling over the reefs that surround the island with tropical fish, looking at the historic buildings or taking selfies with “the happiest creature in the world”, quokkas- a friendly marsupial only found in Western Australia. 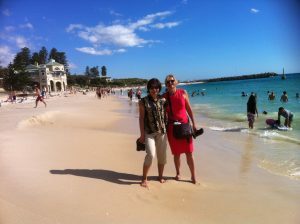 23 kilometres south of Perth is the historic port town of Fremantle located where the Swan River meets the ocean. 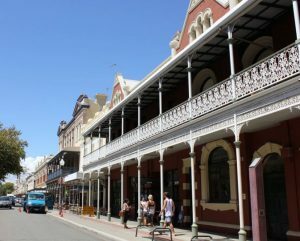 The beautiful colonial, often convict built, buildings in Fremantle have been lovingly preserved and you could easily spend a day wandering the streets visiting the numerous small bars, having a coffee on the famed “Capuccino strip”, visiting fishing boat harbour for some fish and chips or just watching the street buskers in action. Don’t forget to check out some of the numerous galleries, large and small, dotted throughout Freo. The eerie Fremantle Prison is well worth a visit as are the Maritime Museum, the Shipwreck Museum and Western Australia’s oldest building, the Round House. If you’re in Fremantle on a Friday, Saturday or Sunday check out the iconic Fremantle Markets. For over 100 years, its hall has been filled with exotic aromas, fresh produce, fashion, live music, performance art, crafts and Indigenous art. 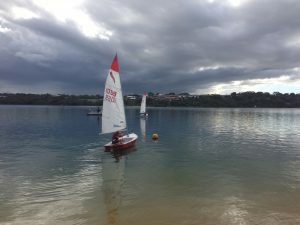 paddleboarding, kayaking and kite surfing. With Perth’s year round good weather, golf is the most popular individual sport and we are blessed with numerous high quality public golf courses where you can play for a very reasonable price. Just watch out for the kangaroos that call a number of Perth’s golf courses home. 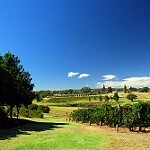 Western Australia’s oldest wine region, the Swan Valley, is home to 40 vineyards, many with cellar doors offering tastings of the region’s wines. It is also home to a number of small breweries, and outlets for local honey, nougat, nuts and chocolate which all offer tastings. A must-see in the Swan Valley is Caversham Wildlife Park, a family owned business where you can feed kangaroos and stroke a koala and a wombat. The small bar scene in Perth city centre and the inner city suburb of Northbridge has taken off in recent years with many hidden gems, rooftop bars and live music venues. 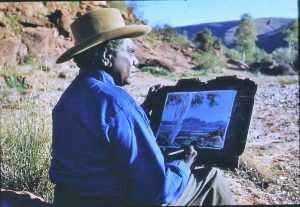 Get your cultural fix at the Perth Cultural Centre, have a look at the extensive collection of Aboriginal art at the Art Gallery of Western Australia, entry is free, before checking out The Perth Institute of Contemporary Arts (PICA) who offer free, modern exhibitions. Close to the city centre, Leederville buzzes with interesting and unusual boutiques and alfresco cafes, while hipster Mount Lawley does fantastic bar-bistros, edgy restaurants and fun pubs. Stylish Subiaco offers designer clothing shops and a brilliant Saturday farmers market. North Fremantle/Mosman Park are great for live music and Northbridge is best for locally created fashion, its Chinatown restaurants and multicultural food stores. A trip to Perth isn’t complete without a visit to the Bell Tower, home of the Bells of St-Martin-in-the-Fields which rang out when Captain Cook returned home following his voyage of discovery to Australia in 1771. 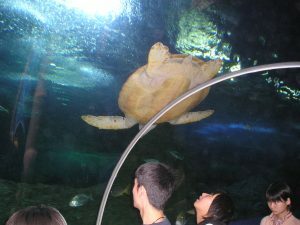 Also, don’t miss AQWA aquarium with its perspex tunnel, the Perth Mint, Australia’s oldest operating mint founded in 1899 and the brand new Elizabeth Quay. 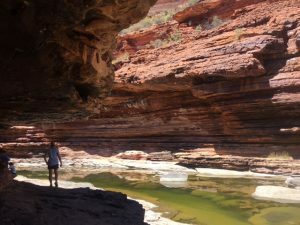 Western Australia is big, very big, and many of our attractions are quite a distance away. 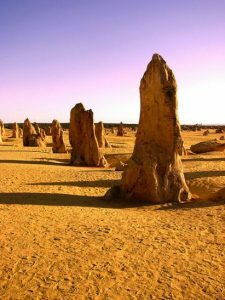 Worth the drive is the Pinnacles Desert, home to eerie rock formations, Margaret River nestled among giant Karri trees and home to Western Australia’s most famous wineries and surf beach and Wave Rock, a 3 billion year old rock formation shaped like a huge wave.